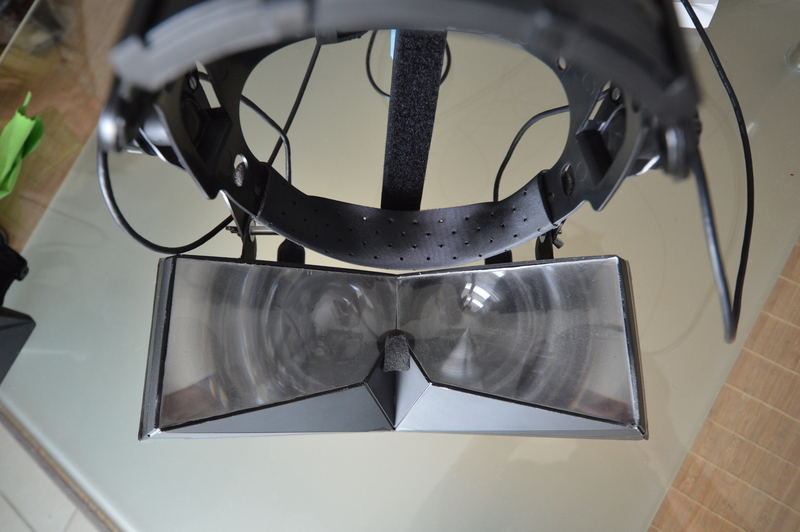 InfinitEye 210 Degree HMD Technical Q&A: How does High FOV Virtual Reality Work? We put your questions to the people behind the virtual reality HMD with a 210 degree field of view. Here are team InfinitEye’s answers, exclusive to Road to VR. You may remember, a few weeks ago I headed out to Toulouse, France to meet with Stephane, Lionel and Robin—the team behind the virtual reality HMD which offers a staggering 210 degree field of view. Team InfinitEye were gracious hosts, and in addition to showing me around their beautiful city they were kind enough to show me what a panoramic VR experience feels like. I was impressed. Not only had this small, dedicated team of friends designed and built this amazing device from scratch, they’d also largely written their own software, APIs and produced their own bespoke demos. To call them dedicated and passionate is to undersell them somewhat, they’re obsessed! I was the first person in the world outside this tight-knit group to experience the device; unsurprisingly people have questions about it. Before I embarked on my trip I asked you, the readers, what you’d like to ask the team. So, the team have taken time out of their hectic schedule to answer them in detail, so that Road to VR readers can get your heads behind the device so to speak. Let’s get started. Road to VR: Describe the components you use to construct the InfinitEye and their individual costs. InfinitEye: We use two 7″ HD screens (1280×800) 200$, 4 high quality Fresnel lenses (2 per eye) 20$, a 3 DOF tracker from YEI 99$, expanded PVC sheets for the casing ~10$, black paint 5$, mount stuff ~25$, cables ~12$. 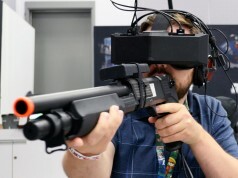 Road to VR: What’s the vertical FOV of the device? InfinitEye: Vertical FOV is ~90°. We designed our prototypes to have the vertical center of the screens shifted a little towards the ground in order to have a more natural vertical FOV. As the human vision you can see more in the lower part than in the upper part. 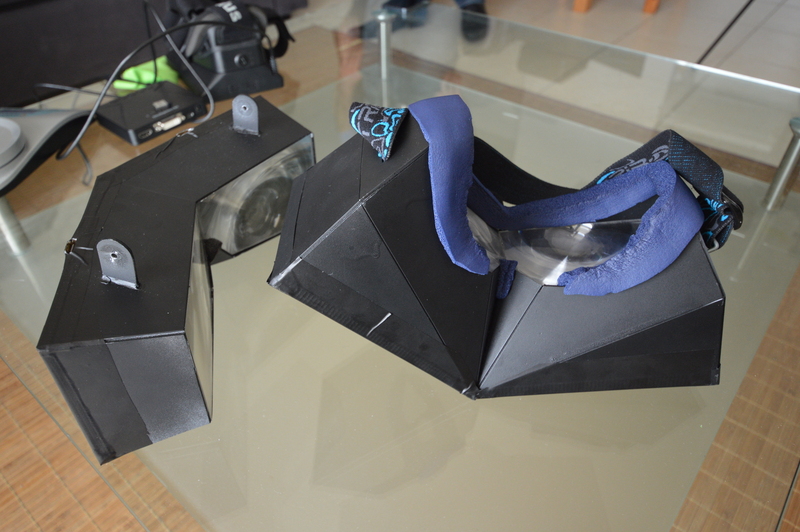 Road to VR: How much does the current prototype weigh and what are its dimensions? The initial version with an elastic band is ~400g total with the cables. 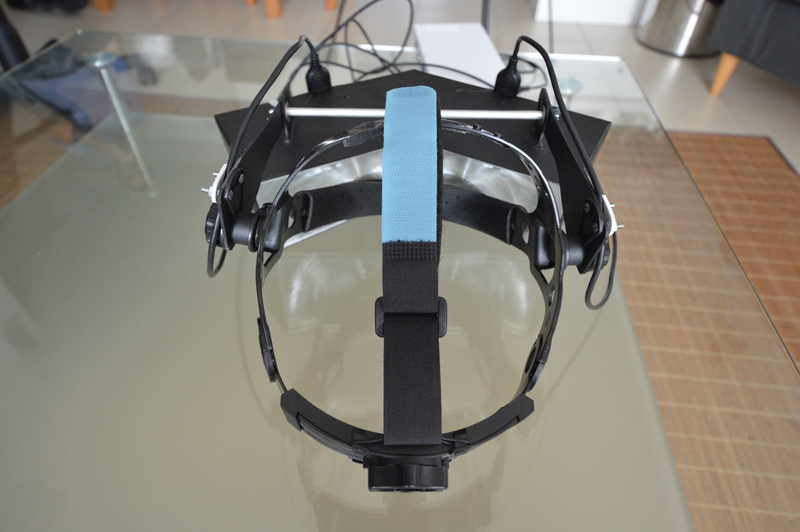 The current prototype is 354g for the headset, ~200g more for the head mount + aluminum bar and screws + top strap band + cables etc. Total weight is 553g total. Note that those are only early designs which are intended to be improved. Road to VR: What tracker is used and what are its specifications? 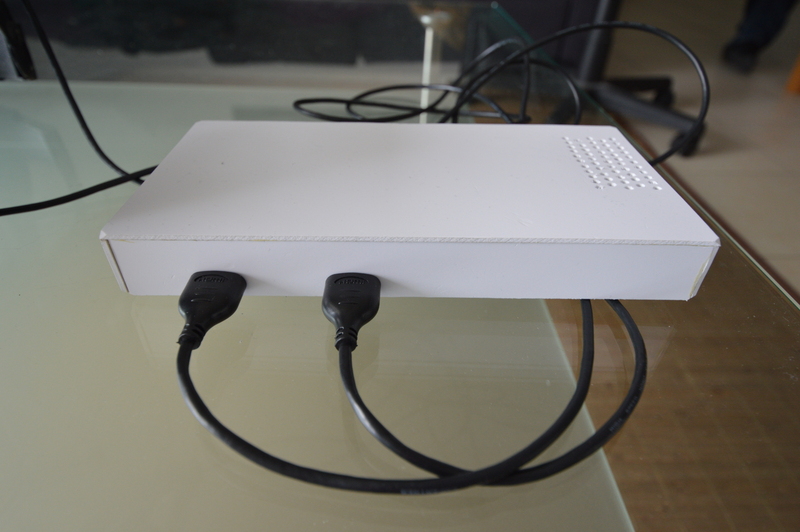 InfinitEye: YEI 3-space sensor embedded, we use it in streaming data mode with a refresh rate of 1000Hz. It features 3 axis gyros, accelerometers and magnetometers and gives an accurate absolute orientation. 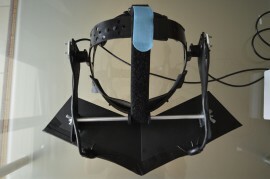 Road to VR: Have you considered any solutions for positional tracking? InfinitEye: Yes, but it’s too soon for our team to disclose anything on the subject. Road to VR: Can you go into more detail on the lens assembly (i.e. stacked Fresnel) and why you need 2 lenses per eye? 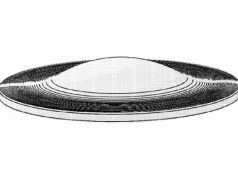 InfinitEye: We have to use 2 stacked Fresnel lenses to get a sufficient magnification. We couldn’t find retail lenses with a short enough focal length with a large enough size to fit the InfinitEye design. 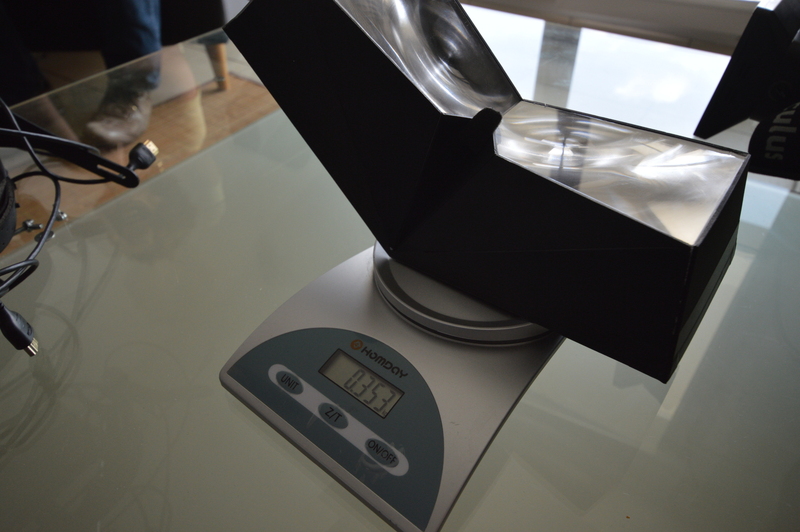 However we hope that we will be able to manufacture custom lenses. It would reduce the weight, improve the quality (less smearing) and hopefully reduce the cost. 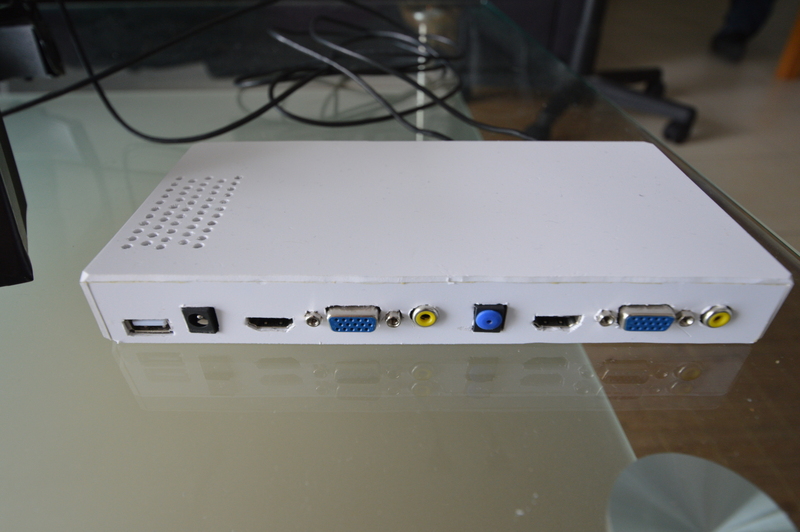 InfinitEye: The breakout board takes 2 HDMI, a 12V power and USB as inputs then send the different signals and power to the 2 screens and tracking data through very thin HDMI cables. It’s a temporary solution which allows us to have low weight cables but we will certainly have custom cables (maybe one instead of two). Road to VR: What materials have you used to construct the chassis / casing? InfinitEye: Expanded PVC, 2mm thick, completely water resistant and not as fragile as people might think (from the manufacturer data sheet, impact resistance is 15kj/m²). It’s not suitable for a finished product though. 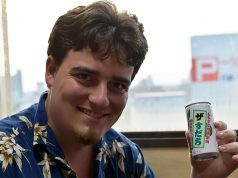 Road to VR: What material might you use for a future, consumer version casing? How much might that weigh? InfinitEye: We have different ideas to keep the casing very light but we need to perform some tests so we prefer not to disclose anything for the moment. Road to VR: What are the minimum specifications for PCs to run games on the InfinitEye? 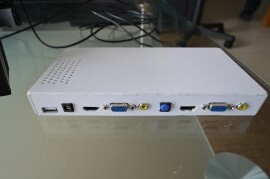 InfinitEye: A mid-range PC from 2012 should be enough but of course it depends on the game you want to play. For your information, our current setup is a core i7 CPU with a GTX 660 Nvidia graphics card and it works perfectly. The graphics card must have at least 2 HDMI/DVI outputs or 1 DisplayPort output (to be used with a specific device that splits the signal into 2 HDMI outputs). 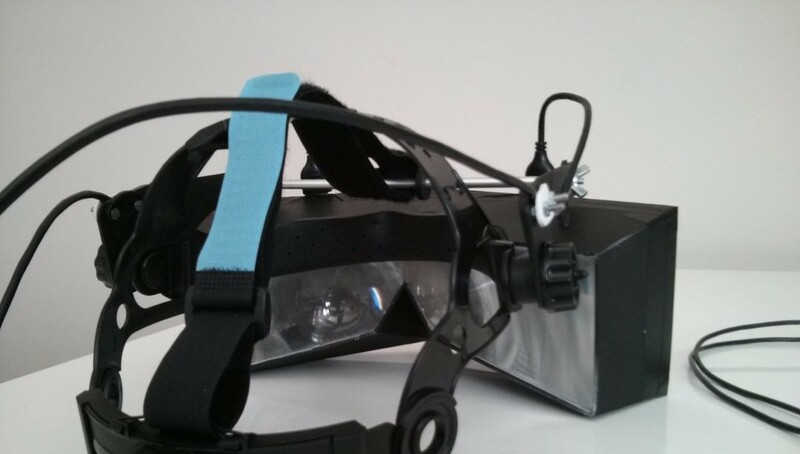 Road to VR: What have you used for the head strap / harness? What might you use in a future, consumer model? 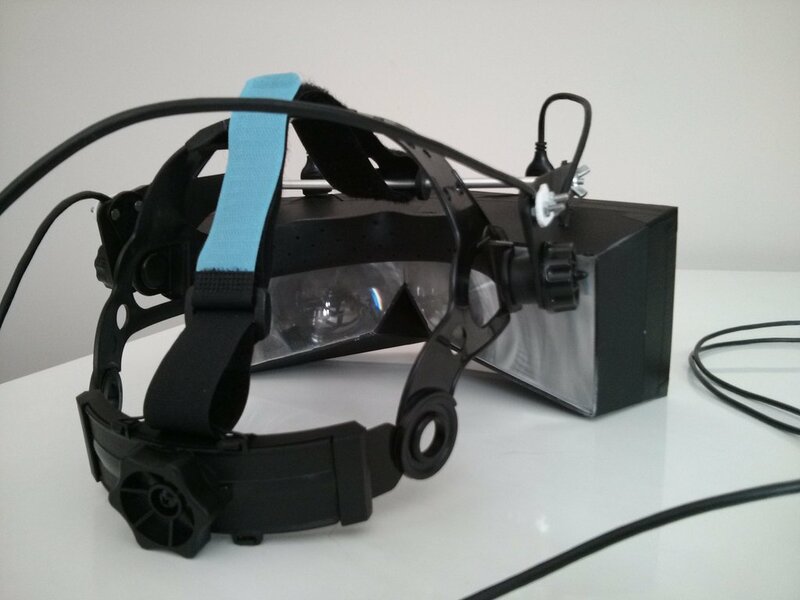 InfinitEye: The current prototype use a strap scavenged from a face shield made for gardening. An elastic band should be cheaper and help reduce the cost of the consumer product. Road to VR: The unit is currently open around the eyes, what designs are you considering to resolve this? InfinitEye: The open design is great because your face skin can breathe and there is no fog on the lenses. We are considering making a removable light blocking system but since we might not keep this design this solution could become irrelevant. 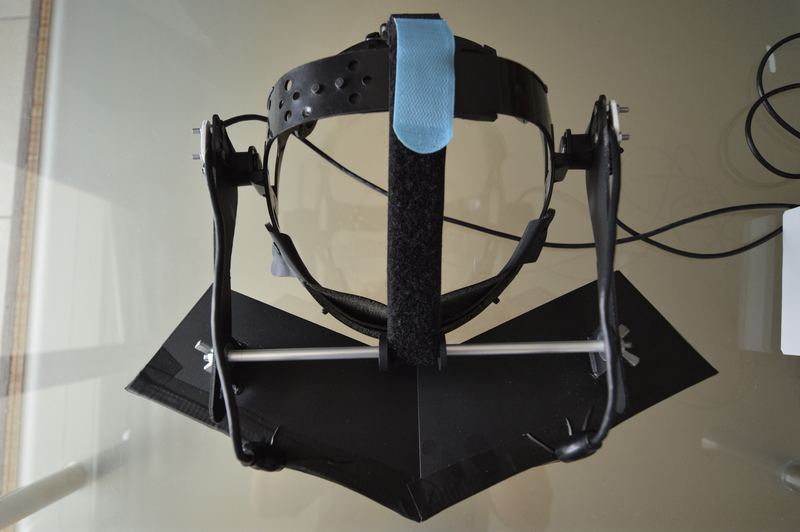 Note that we had a light blocking system on the first prototype which had an elastic band. We are in a stage where we are trying different designs to see what would be the best in terms of weight and comfort. I’m looking forward to owning one of these!